Tax credits reduce tax liability dollar-for-dollar, potentially making them more valuable than deductions, which reduce only the amount of income subject to tax. Maximizing available credits is especially important now that the Tax Cuts and Jobs Act has reduced or eliminated some tax breaks for businesses. Two still-available tax credits are especially for small businesses that provide certain employee benefits. 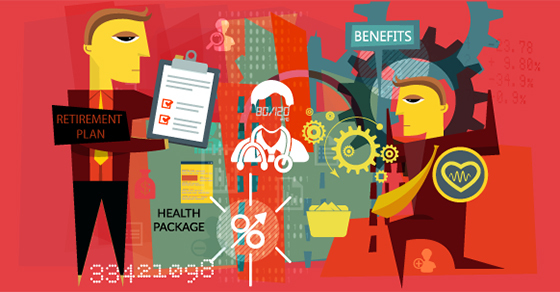 The Affordable Care Act (ACA) offers a credit to certain small employers that provide employees with health coverage. Despite various congressional attempts to repeal the ACA in 2017, nearly all of its provisions remain intact, including this potentially valuable tax credit. The maximum credit is 50% of group health coverage premiums paid by the employer, if it contributes at least 50% of the total premium or of a benchmark premium. For 2017, the full credit is available for employers with 10 or fewer full-time equivalent employees (FTEs) and average annual wages of $26,200 or less per employee. Partial credits are available on a sliding scale to businesses with fewer than 25 FTEs and average annual wages of less than $52,400. The credit can be claimed for only two years, and they must be consecutive. (Credits claimed before 2014 don’t count, however.) If you meet the eligibility requirements but have been waiting to claim the credit until a future year when you think it might provide more savings, claiming the credit for 2017 may be a good idea. Why? It’s possible the credit will go away in the future if lawmakers in Washington continue to try to repeal or replace the ACA. At this point, most likely any ACA repeal or replacement wouldn’t go into effect until 2019 (or possibly later). So if you claim the credit for 2017, you may also be able to claim it on your 2018 return next year (provided you again meet the eligibility requirements). That way, you could take full advantage of the credit while it’s available. If you didn’t create a retirement plan in 2017, you might still have time to do so. Simplified Employee Pensions (SEPs) can be set up as late as the due date of your tax return, including extensions. If you’d like to set up a different type of plan, consider doing so for 2018 so you can potentially take advantage of the retirement plan credit (and other tax benefits) when you file your 2018 return next year. Keep in mind that additional rules and limits apply to these tax credits. We’d be happy to help you determine whether you’re eligible for these or other credits on your 2017 return and also plan for credits you might be able to claim on your 2018 return if you take appropriate actions this year.